The Mortal Instruments and The Infernal Devices are getting a makeover. Beginning September 1, both series are being repackaged with all-new covers. Back in February, we got a first look at the new design for City of Bones. 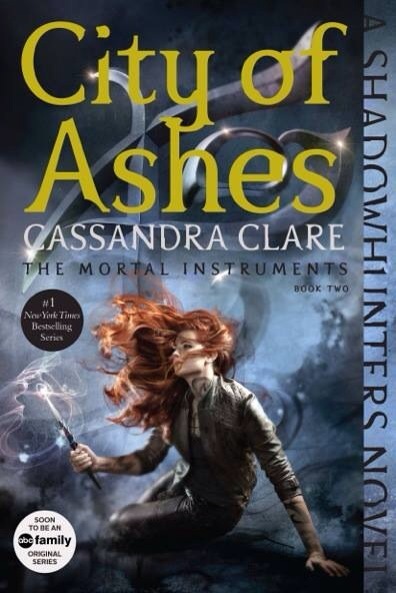 Now, ABC Family’s Shadowhunters social media accounts are unveiling the remaining five covers: City of Ashes, City of Glass, City of Fallen Angels, City of Lost Souls, and City of Heavenly Fire. This post will be updated as each cover is revealed. What do you think of the new covers? Stay tuned because the new Infernal Devices will be unveiled tomorrow! Wow. Kudos to whoever designed these. Cliff Nielsen designed them. He has also done all of Cassie’s previous Shadowhunter Chronicles covers. Well he is a very talented man. They look good but I like the originals better. I feel more awe with the orginals. Love these, my only problem I have is the writing down the side ‘A Shadowhunter Novel’ I don’t think it was necessary there are beautiful otherwise. Am I the only one that can’t see the City of Heavenly Fire cover though? I agree 100%. The writing on the side doesn’t really seem necessary. Yeah I don’t think the writing on the side is necessary. 1. 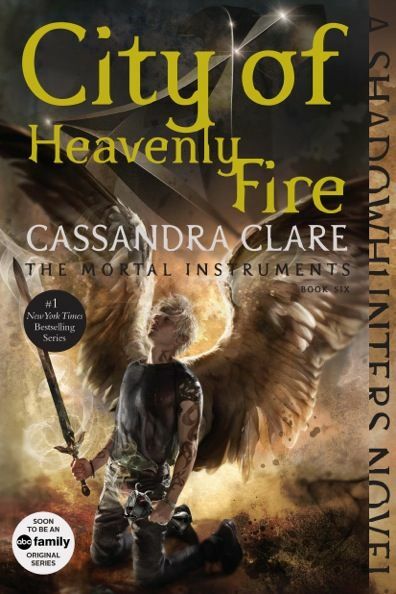 Where can I find the CoHF new cover? 2. Does this mean that the upcoming series (TDA, TLH, etc.) will match these covers or the previous ones? Because it will be a bummer if I have to buy 6 TMI books, 3 TID books, and 1 BC book just for them to match the rest. Ikr thats just what i was thinking! And the whole tmi series cost me about 120 dollars! Cassie said that the TDA and TLH covers will be neither like these, not like the originals. They’ll be a mix of both so you won’t have to buy 10 more books to match the rest. Wait. So the upcoming series won’t match either?! And also, are these the cover changes for paperback, hardcover, or both? 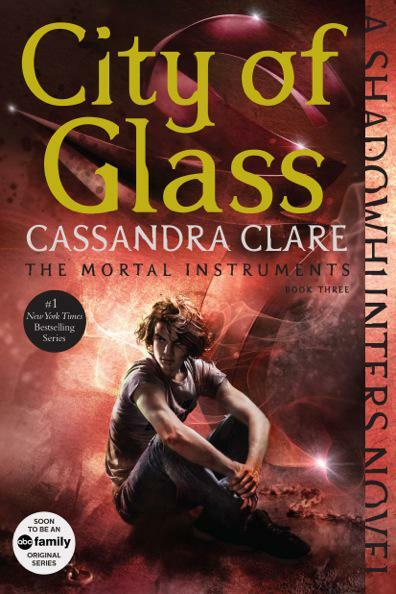 Who is on the cover of city of glass? I’m assuming Simon? It looks like the writing on the side is part of an inside cover. Do these books have 2 covers? The one we can see and one that you open up to? That is what it looks like to me. I don’t know if the CoHF is Sebastian… Who ever it is has wings.. Seb doesn’t have wings. I think it is Jace. 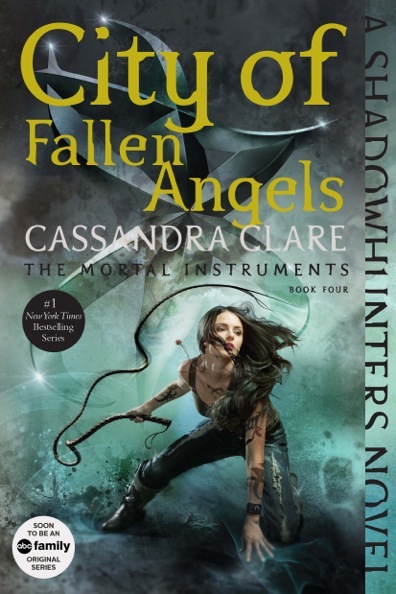 Yeah, I doubt it’s Sebastian, because he wasn’t depicted with wings on the original cover for CoFA, but didn’t Clary at one point draw (or dream, I can’t remember) Sebastian with wings? Jace is left-handed. I’m not saying he couldn’t wield a sword in his right, but Sebastian is right-handed. OMG THESE LOOK AMAZING. I want these so bad, but that means replacing my copies of COHF and Clockwork Prince (the only books I have in the all of the Shadowhunters books). I have one question though: What do all the runes say? I know the first one is the Shadowhunter rune, and someone has said the second is the Fearless rune, but I have no clue what the rest say. I think you’re right about all of them!! CoLS is the Courage rune! I remembered seeing it in the Codex and I just looked it up and that’s what it is! The Codex specifically called it “Courage in Combat” which would make sense since the Dark War battle thing, which is i think the biggest single battle in the whole series, happens in that book! CoG is actually a twisted around knowledge rune, but for the rest they’re right (according to google images). CoFA might not be the Mark of Cain, but I can’t find anything that it looks like. It does look familiar though. CoG is the agony rune, CoFA is the vision rune, and CoHF is the destined rune. I hate that big, yellow font, but otherwise I LOVE the covers!! The pictures, backgrounds and runes are great!!! It’s actually gold but it seems yellow because of the pictures. I have a question: Are these in hardcover or paperback? I would be grateful for an answer! These are paperbacks. The hardcovers will stay the same. 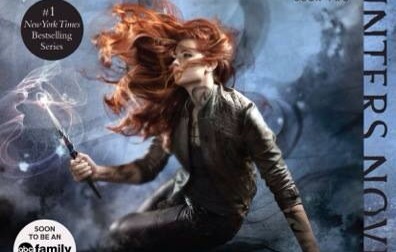 On t he COHF cover is that sebastian or jace? I know that is actually Jace because of the fire andwings and all, but the straight, whitish hair and skinny build reminds me slightly of Sebastian. I love the covers either way! 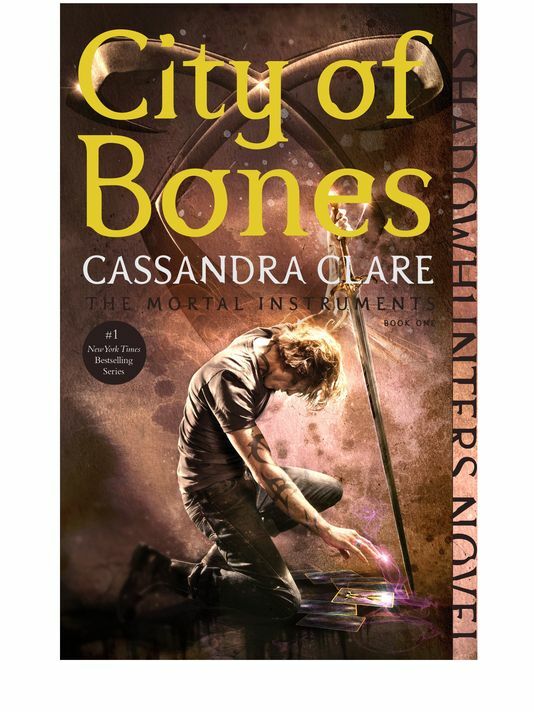 Cassandra Clare has tweeted that it’s Sebastian on the CoHF cover. Yes, these are the US covers. The UK covers will be repackaged as well, though. We revealed the new UK covers a while ago. These are absolutely incredible!! Wow!! They’re just so so stunningly beautiful and the full characters so truly depicted with the design of gear and runes and all. I love them so much I want posters of them on my wall!! Has Cassie given a comment to each one like confirming who it is and the rune and such…? Let’s piece it together…. Update: according to Codex runes, CoG is “Agony” (weird there would be a rune for that…?) and CoHF “Destiny” -very appropriate. Simon looks like an evil child hehe. Nice hair! I first thought it was Seb for sure because of all that. Oh wow i think these new people on the covers are even more fitting! 1. Why would they use a movie rune for a book cover? 2. What does it have to do with CoFA? I don’t really like the covers. I like the old ones better because it fits the main people and the setting. 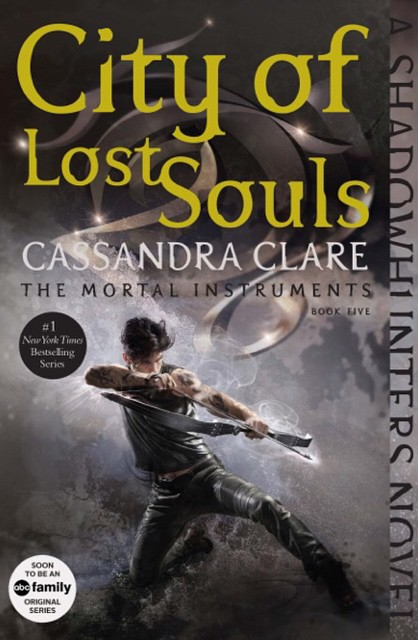 For example City of Lost Souls, It’s got to be Alec on the front since Sebastian doesn’t use a bow and arrow. He uses one of the Morgenstern swords. And it’s mainly circled around Clary, Jace, Sebastian, Isabelle, and Jocelyn. Aren’t covers suppose to represent a main person, place, or item on the cover? I know it’s a 3rd person series, but in the City of Lost Souls it doesn’t really circle around Alec. I love them so so much! I already own the series, but these almost make me want to go and buy the books again. The drawings of the characters are just gorgeous! And I love how each character gets a cover- in the original ones it was weird because some had two people, some had one, Clary was on three covers and Isabelle wasn’t on any. But I love the way each character is highlighted with these! I really like these new covers! I love the way the characters seem to be captured in action. But, however, there was something about the font-I think its the color and size-that didn’t seem as appealing to me like the original covers did. Also, the writing down the side(“A Shadowhunter Novel”)kind of bothered me a little bit. As much as I liked the original covers, overall,I think I they did a pretty amazing job. By the way, I’m really glad they kept kind of the same layout to all of the volumes. PS:IS IT JUST ME OR DID ANYONE ELSE NOTICE THAT SIMON HAS RUNES??? I love these new covers they’re gorgeous. But I am really confused because I know the CoHF has Sebastian on the front but the spines of the covers all have a character on them too. So if it is Sebastian then the spine has Sebastian on too but it’s confusing because they’re all standing together and as far as I’m concerned Sebastian wasn’t part of the ‘main group’ ( Clary, Jace, Izzy, Alex and Simon.) So I think that would really bug me about having these covers on my shelves!! I’m a big fan of the Mortal Instruments, admire your work, your beautiful words in the book inspired me a lot, I hope to one day have the honor of meeting you, and hope to be a good hunter of shadows ..
Who is who on the side of the books, I can’t figure out who is on the side of the CoHF book.